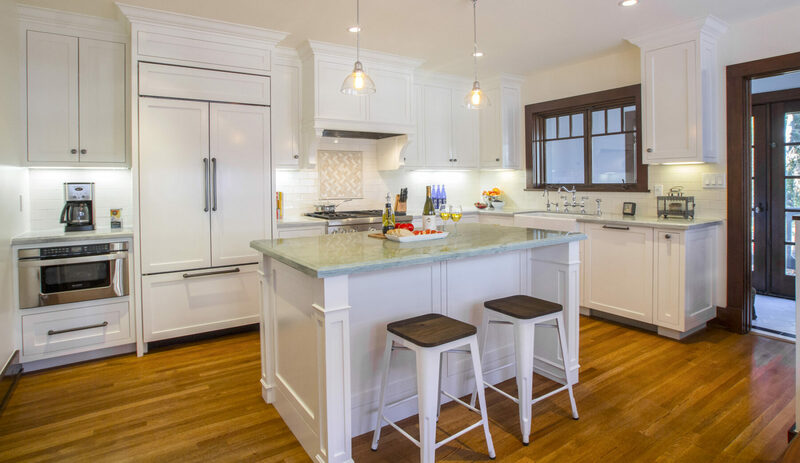 Our 1910 Craftsman remodel offers amenities for today’s lifestyle. There is a coffee station equipped with a microwave drawer. The island serves as a prep station and eating area and the french door Sub-Zero is centrally located to everything.